1st time use 7/11 service to collect my parcel!easy and convenient!good! Highly Recommend written by mobile Great buy and superb service! Been using it for just over a week now. Happy with my purchase... works well and received great service from Charles. Thank you! Received quite promptly. Received with thanks. All good. Do note its phyiscal size n weight. Might be a bit big n heavy to bring it around in pocket all day. Fast delivery. But bulkier than I thought. Hope it can recharge well. Quick delivery and item as shown in picture. Yet to try. 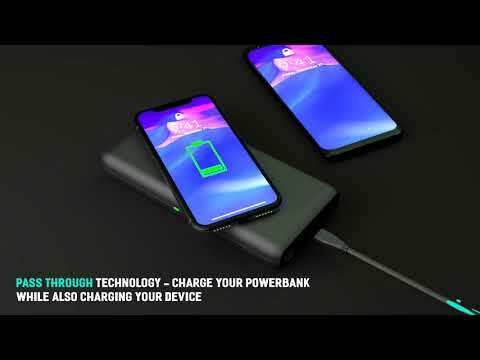 This is a one of the kind 7.5watt wireless power bank which charge wirelessly very fast. Product is authentic and is of good quality. Thanks seller for the fast deliver. hi!i just receive the power bank today!but why have no response when i press the power button?and when i charge it,there indicator show 3 light are on!is it normal? and i just notice that the usb adaptor also don't have inside the box! dear customer, most power banks have 4 LEDs, all of them will light up when the power bank is full. Your power bank mustn't be full yet after your charging. Which type of usb charger are you using to charge it?